VPN Provider Le VPN is bringing some news! Let’s see what the French provider Le VPN is keeping something for us! 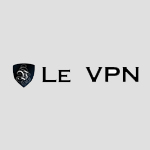 To begin, they have just released an upgraded version of their service, which is called “Le VPN Premium”. This last one is a new product with additional contents that were not available on “Le VPN Pro” and “Le VPN Ultimate” offers. But by the way, what are those changings? Firstly, servers for this new offer were created in 12 countries: United States, United Kingdom, France, Belgium, Germany, Czech Republic, Switzerland, Canada, Netherlands, Luxembourg, Russia and Ukraine. After that, a new security protocol was added: L2TP/IPSec protocol. You can click here for more information. Furthermore, Premium offer allows you to connect simultaneously on two different devices, a new concept that was not present on the other offers. Finally, to celebrate “Le VPN Premium” launch, the other offers have not been available anymore since June 1st. Moreover, a 10% discount is taken into account for the first payment and during the first ten days only. For further information, you can go on the provider’s official website. ← How to unlock and watch Saturday Night Live abroad with a VPN service in 2013?